"Everlasting" Solids digital paper pack furnishes you with the perfectly colour matched solid background papers for your use in creating your mini albums, scrapbook layouts and cards. Use these in so many ways...one idea is to use them as you would cardstock! 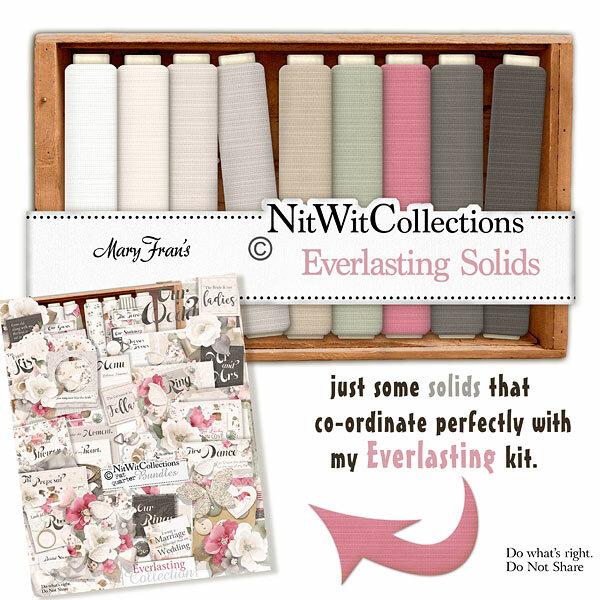 These digital papers are NOT included in the FQB "Everlasting" Collection so please don't miss out!